Featured in SONGWRITING & COMPOSING MAGAZINE by the Guild of International Songwriters and Composers. Jasmine's song LIGHTNING IN A BOTTLE won the pop category in the 2016 UK Songwriting Contest and was also a finalist in two other categories, RnB and Love Songs! So honored that our song LIGHTNING IN A BOTTLE won the pop category in the 2016 UK Songwriting Contest! It was also a finalist in two other categories, Love Songs and RnB. Hit songwriter judge Shelly Peiken described the song as "Superb! Professional. Cuttable!...My fave is "Lightning" - I love how the hook is created via phrasing of just the one simple line." SPIN THE BOTTLE was also a finalist in Love Songs. Semifinalists were announced this morning for the annual International Songwriting Competition! Finalists will be announced in the coming weeks! Check out NeuFutur Magazine's review of SKELETON printed today! 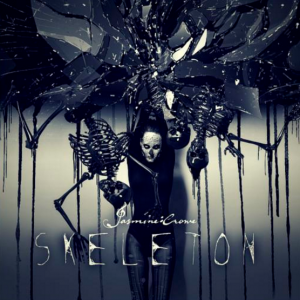 Skeleton is the latest effort from California’s Jasmine Crowe, and the track does tremendously in blending together pop, indie, and EDM into a hard-hitting track. The harmonies of Crowe during Skeleton are fantastic, ensuring that listeners will be singing along after a few listens. Where many tracks merely use instrumentation as a backdrop for the vocals, there is a robustness to the arrangement here that pushes Crowe’s voice to the heavens. The track utilizes a blend of different styles and sounds to keeps the energy of the composition high from beginning to end, while the disparate elements are melded together into a cogent track by the skilled Crowe. Hints of Katy Perry, Rihanna, and Taylor Swift can be heard in Crowe’s vocals, but the track successes as she puts in her own spirit to each note. The track is more toward a tenderer and breathy side keeping listeners firmly on the edges of their seats. A twinkling synthesizer sound is paired with a deep and heavy bass line, while the percussion punches through at all of the right points. The production of Skeleton allows every one of the track’s many elements to work together without sounding cluttered; this is an effort that shows Crowe’s considerable chops. While there are nods to current and contemporary music, Jasmine makes this into something that sounds sleek, futuristic, and as a result has considerable replay value for anyone fortunate enough to listen to the cut. For more information about Jasmine Crowe and her latest music, make it a point to visit her domain or social media profiles. Skeleton is a single that we will playing in high rotation in NeuFutur headquarters through fall and into the winter months. Thanks to you guys BLACK WIDOW is #1 on the @hnamusic charts for the month of August!! Listen and download the award winning debut single! All proceeds go towards the Richard A. Crowe Memorial Scholarship in Astronomy at UH Hilo in Hawaii! Nominees were announced this morning and Jasmine is a semifinalist in the Unsigned Only annual Songwriting Competition! Judges include Aimee Mann, Sinead O' Connor and The Killers among others.